The new year is always a time to try new things, set new goals, and make new resolutions to better ourselves. Many resolutions are health-related, and for good reason: being in top form, physically and mentally, gives you the energy and focus to achieve other goals. The problem? 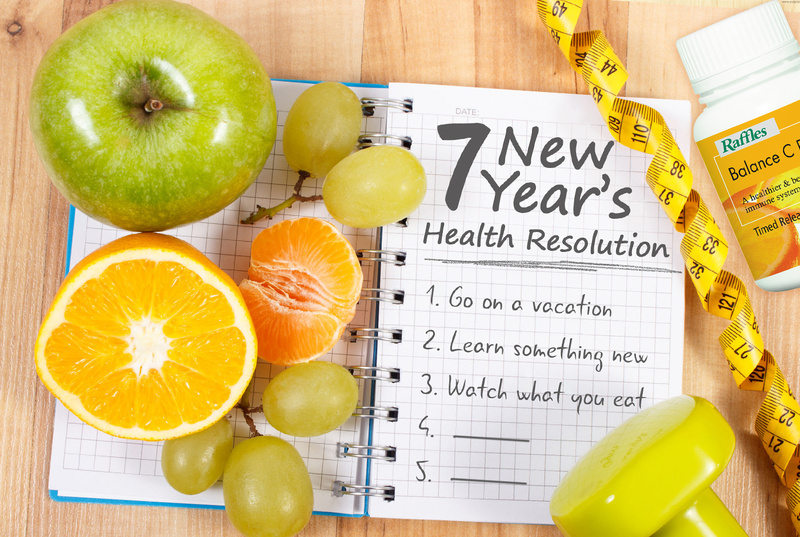 Lots of resolutions are too vague or unrealistic, and we end up not following through on them. Besides being a break from your routine to unwind, a vacation also improves your well-being. If your vacation involves lots of physical activity - such as hiking or skiing – you’ll be getting a cardio exercise at the same time. It also reduce your stress levels by removing you from activities and environments that you associate with stress and anxiety. So, if you haven’t been to a vacation for some time, perhaps you should plan one this year. Don't forget to get the necessary travel vaccinations and get screened before you fly - they'll keep you safe against any illness that may strike. The new year is the perfect time to learn something new. Not only will it improve your self-confidence, you also lower your risk of dementia. You can pick up a skill that enhances your professional life or consider self-improvement courses that may be useful in your everyday life, such as lifesaving skills. If you don’t want to commit to a course that takes months to complete, there are short courses lasting one or two days long that you can consider. Frequent eating at your desk at work, an unhealthy diet, and snacking throughout the day – these bad habits are likely to cause overeating and make you put on extra weight. Eat out more with your coworkers instead of eating al desko. Incorporate more vegetables into your diet. Replace your snacks with healthier options. Supplement your diet with vitamins if you feel you aren’t getting enough nutrition. Eating better will make you feel more energetic and active, and reduce your risk of falling sick. Getting your health and teeth checked may seem like an afterthought, or something you’ve been constantly putting off. This year, make time to get your health checked. By taking a few hours of your time, you can get an overview of your health and identify any potential health risks, so you can prevent any serious health problems from occurring later on. Sleep is essential to our well-being, yet many people are not getting enough of it. According to a research, about half of Singaporeans get the recommended seven to eight hours of sleep each day, and less sleep through the night. Make a promise to improve your sleep habits. It could be going to bed earlier, developing better sleep hygiene, or eating some melatonin before you sleep. Many organisations offer volunteering opportunities. It can be spending time helping in an animal shelter, or distributing groceries to the needy. You can even join your organisation’s Corporate Social Responsibility programme as well.